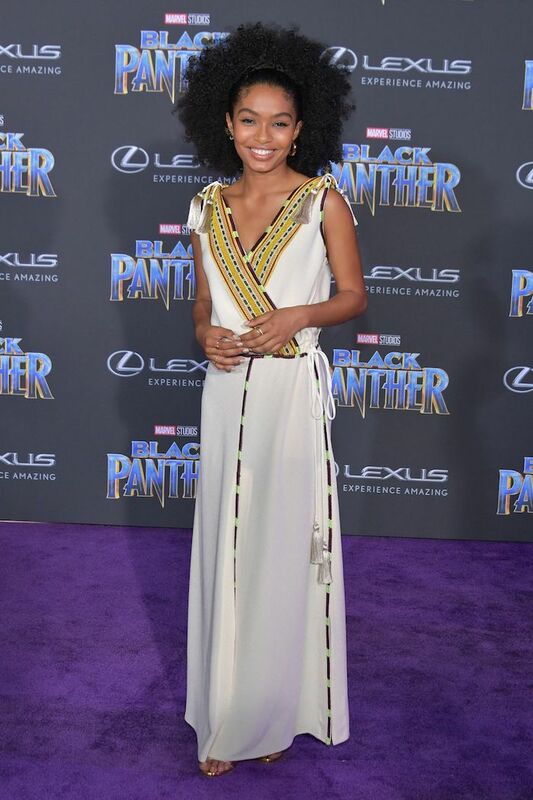 There were all types of #blackgirlmagic on the purple carpet at the Hollywood premiere of Marvel’s Black Panther this past Monday, January 29. 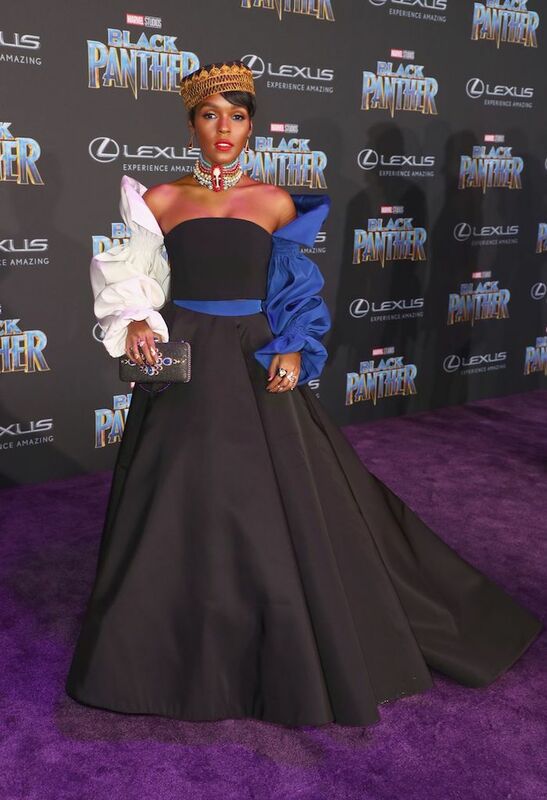 The star-studded event included actresses, directors, writers, and more, all in their most royal attire to accompany the theme of the movie. 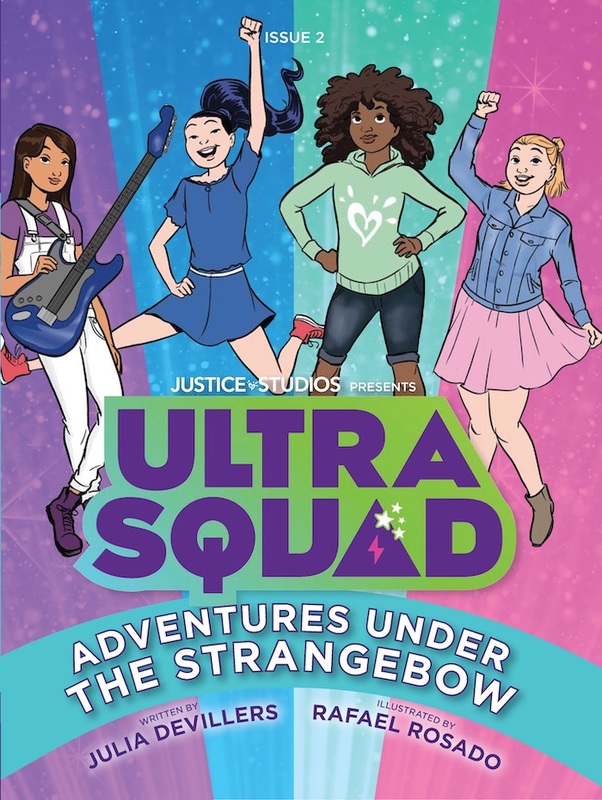 Check out our faves below! Purple is the color of royalty! 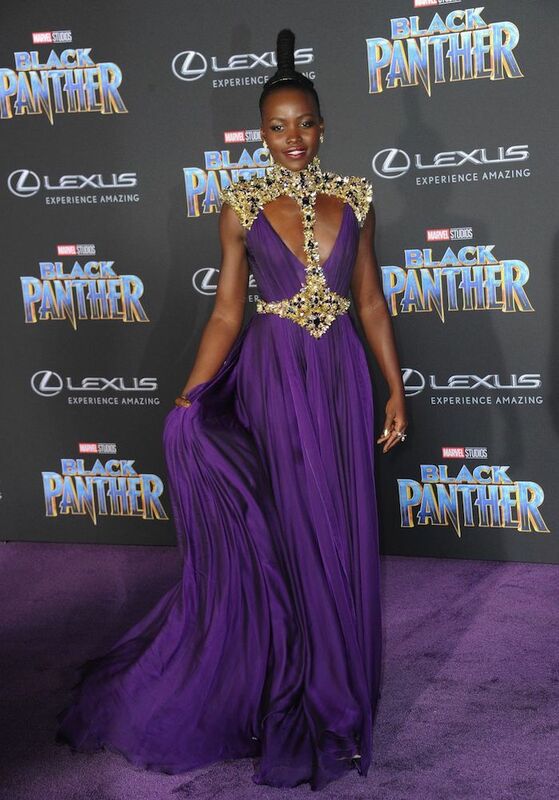 This Black Panther actress’s skin is glowing under this beautiful sleeveless dress with a gold embezzled armor-like swath to complete the look. 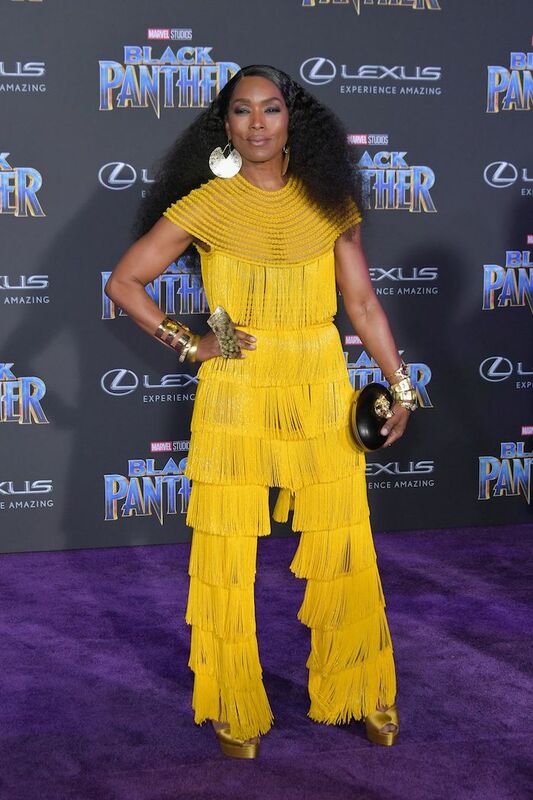 Go big, or go home seems to be the theme for Black Panther actress in her big gold earrings, ring and platform heels. Not to mention her beautiful curly tresses, and of course, the fringe jumpsuit! 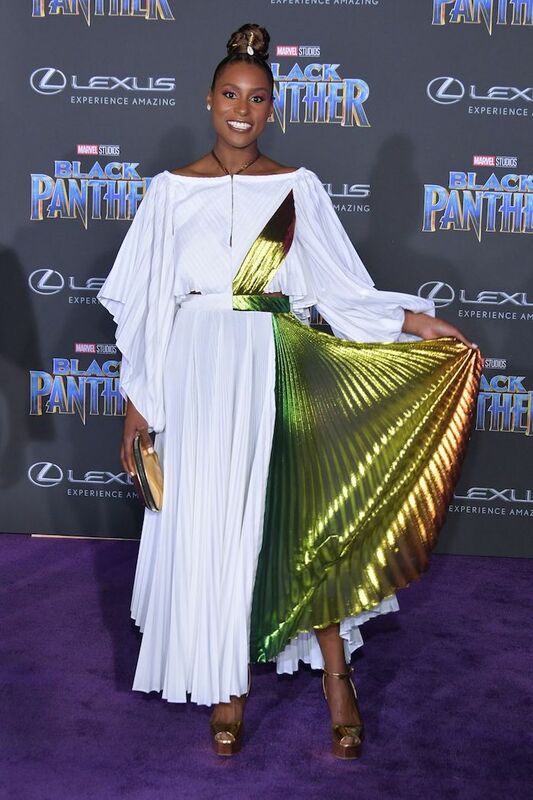 Dressed as the goddess she is, Insecure creator and writer shows off her flowy white gown complimented with a pop of ombre metallic paneling. Doesn’t this outfit make you think of the Muses from Hercules? Check out the beautiful sheer detailing of this top?! 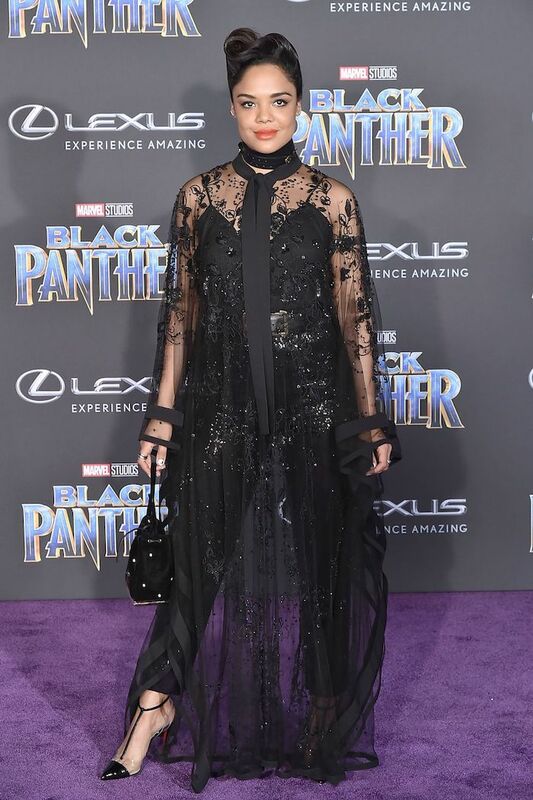 The Thor: Ragnarok star is giving us fierce vibes in her head-to-toe all black outfit. Everyone cannot wait to see this beautiful star in theaters when the movie comes out! 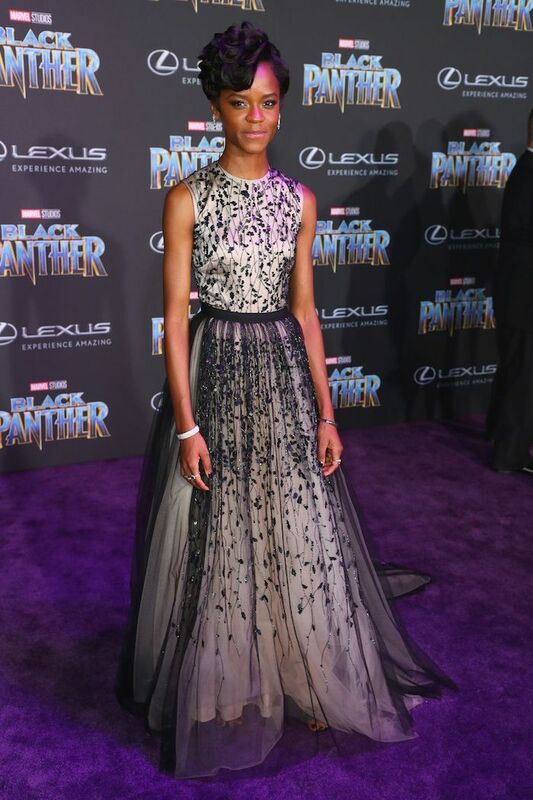 She plays a 17-year-old sister to T’Challa (Chadwick Boseman) and is said to be the “smartest person in the world,” Marvel Universe that is. This sleeveless flowy gown gives an illusion that she’s floating! 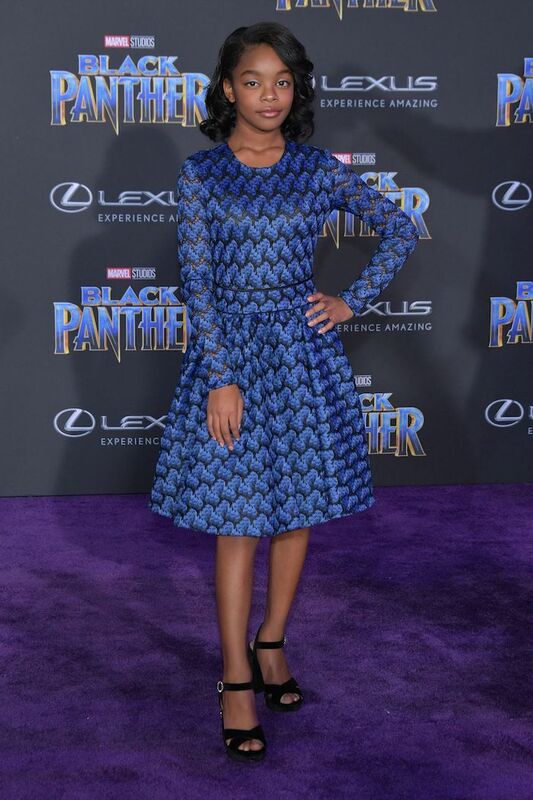 Black-ish star strikes a pose in this beautiful, youthful blue long sleeve dress and black platform heels. A queen. The singer ditched her powerful signature pantsuit for this long black gown paired with African beaded jewelry and a beautifully detailed hat. This Disney star gives off a spunky look by pairing this long spaghetti strapped dress with black ankle boots. Another Muse goddess! Yara is in her full natural glory with this soft cream Etro dress with tribal-inspired embroidery. Black is always in. 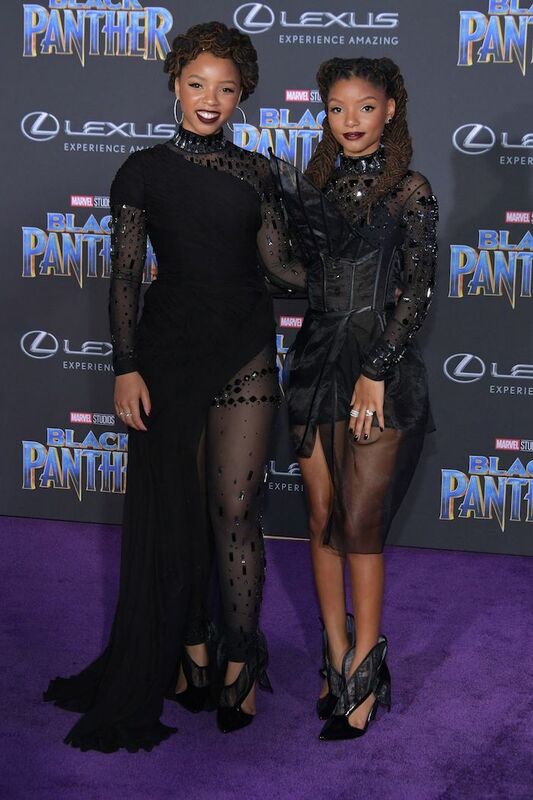 These singers and Grown-ish actresses show off some skin in these beautiful all black sheer dresses. 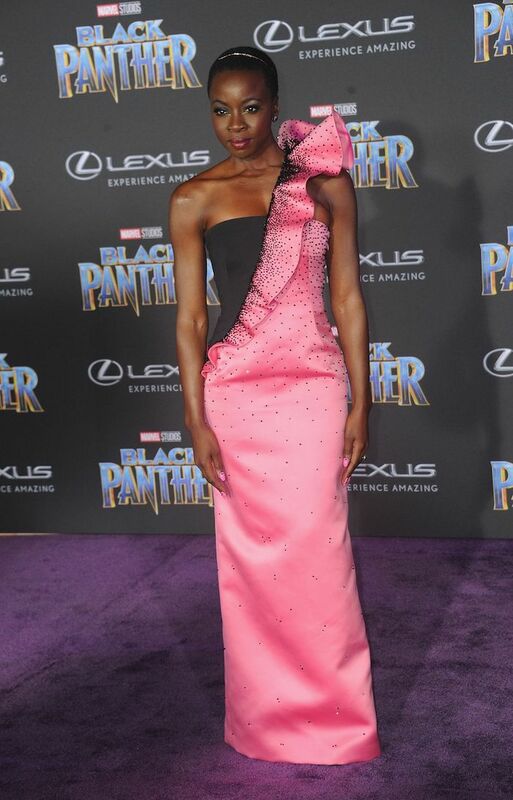 Another Black Panther star who we’ve all seen in the trailer, ready for battle, puts down her weapon and wears a beautiful pink ruffled gown with perfect bedazzling. Who’s ready to see Black Panther on February 16th?! Tell us what your favorite royal looks were in the comments below.